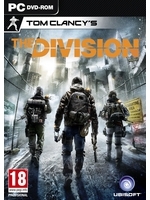 Winter is coming and so is Survival, the second expansion for Tom Clancy's The Division. Before it releases later this year, a new Public Test Server is availble for PC players until November 13. More details and trailer inside. SAN FRANCISCO — November 8, 2016 — Today, Ubisoft® announced that a new Public Test Server (PTS) is now available for Windows PC players to join until November 13. The PTS will be used to test Update 1.5 and is available for all Windows PC players. Survival, the second major expansion for Tom Clancy’s The Division®, will also be available exclusively for Season Pass owners via the PTS. In this new expansion, players will face extreme conditions after their chopper is taken down by a snowstorm. As Division agents, they have information about a potential cure for the pandemic and they will need to be extracted from the Dark Zone. Finding warm clothes, supplies, food, water and medicine will be vital to their success. However, the environment is not the only danger out there; players must also be aware of 23 other agents and face off against the Hunters, a new mysterious and deadly enemy who is always one step ahead of them. In Survival, players will be able to choose to enable either PvP or PvE. In PvP, while the Rogue mechanic does not apply, agents can fight against or cooperate with other players in every corner of New York, even outside of the Dark Zone. In PvE, players will be able to play in cooperation with other players, even in the Dark Zone.